“YES! Fantastic, amazing, just what I’ve been waiting for! Romney, of course, said exactly this and also endorsed E-Verify and a fence on the border,” Coulter said when asked to react to Walker’s statements—and all the political establishment from both sides of the aisle and the media attacking him—on Tuesday. 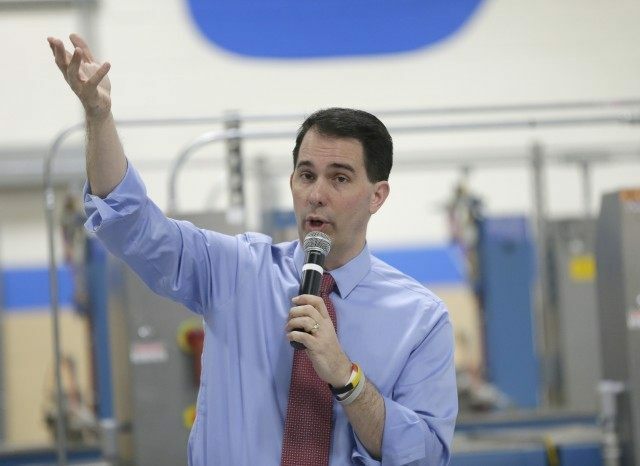 Coulter added that Walker is exposing the “cheap labor hacks” for what they are. Earlier this week, Walker—during an appearance on Glenn Beck’s radio show—laid out how he plans to stand up for American workers against not just illegal immigration but also any massive increase in legal immigration. Walker also doubled down on Megyn Kelly’s show on Fox News, prompting the entire Institutional Left—ranging from the Huffington Post to MSNBC to Mother Jones magazine—to berate him with, with several in GOP establishment circles including Sen. John McCain (R-AZ) and other liberal GOP senators joining. Walker has held firm, earning praise from conservative luminaries like National Review editor Rich Lowry and now Coulter, among others. Previously, Coulter –in an interview with a Los Angeles Fox affiliate–said she hates the entire 2016 GOP field except for Walker. “I hate them all except Scott Walker and my only issue with Walker is — and it isn’t a big issue, but I just think people are going to see him onstage, see questions about… trade with China, what are you going to do with Russia and think ‘damn, I wish that were Romney up there,’” Coulter said. Coulter’s most recent book is Never Trust A Liberal Over 3-Especially A Republican.